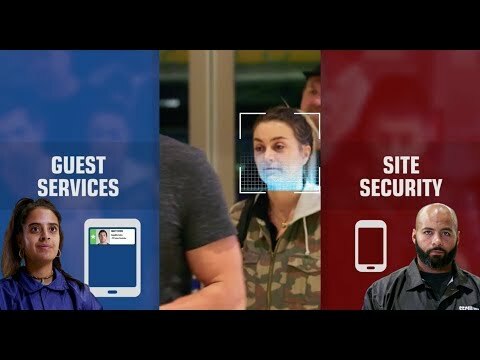 FaceFirst offers Sentinel-IQ, the only face recognition platform that proactively detects and deters threats as they enter the venue, instantly delivering actionable intelligence to security personnel at the exact moment they need it. Major sporting events and concerts are high-value targets for terror. Make them safer with FaceFirst. It’s one thing to eject or ban disruptive fans. With Sentinel-IQ, you can make sure they won’t return. Built from the ground up to ensure that personal privacy is a top priority. Event management isn’t just about keeping out the wrong fans. It’s also about taking care of your VIPs. Identify premium season ticket holders as they enter, and boost retention by offering a range of VIP services. Offer expedited entry to premium season ticket holders. Boost season ticket holder retention by offering VIP Services. Track how your loyalty program impacts fan attendance over time. With FaceFirst, your event security team has the same powerful mobile platform used by dozens of law enforcement agencies around the world, available for iOS and Android. Provide your security team and law enforcement with instantly actionable intelligence, keeping everyone on the same page. FaceFirst mobile apps give your security team the power to check ID from any corner of the stadium or arena. Unwanted guests can be instantly enrolled in the database from any smartphone. FaceFirst is the ultimate sports and concert face recognition platform, perfect for arenas and stadiums. Our patented facial recognition platform helps you create safer and more personalized events using the most accurate, scalable and fastest face recognition technology available. FaceFirst is the only biometric surveillance solution that proactively detects banned fans, stalkers, potential terrorists, VIPs and other guests by providing your stadium personnel with instantly actionable information at the exact moment they need it. Using artificial intelligence and deep learning, FaceFirst offers surveillance, mobile, access control, personal identity management and more. The platform also helps you provide a VIP experience to premium ticket holders. FaceFirst offers a full SDK/API for integration into a variety of venue systems and platforms. © 2019 FaceFirst. All rights reserved. FACEFIRST is a trademark of FaceFirst, Inc. Prevent Terrorism. Keep Banned Fans Out. Treat Fans Like VIPs.